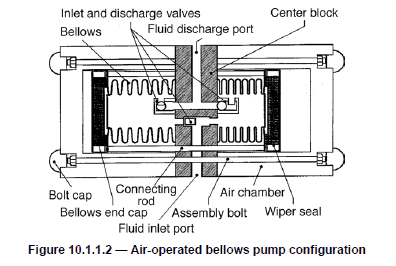 An air-operated pump is a positive-displacement reciprocating pump used for the general transfer of liquids, and it is driven by means of a compressed gas from an outside source. 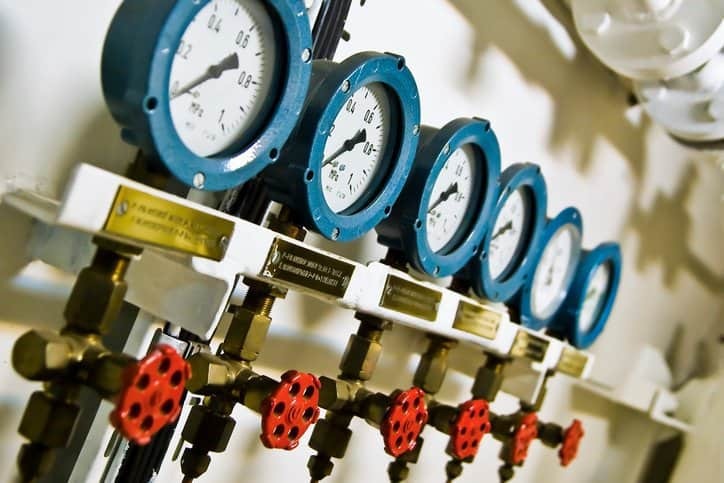 The compressed gas that is used within air-operated pumps is usually just air, and the directional flow of the internal process liquid is produced from suction and discharge check valves. 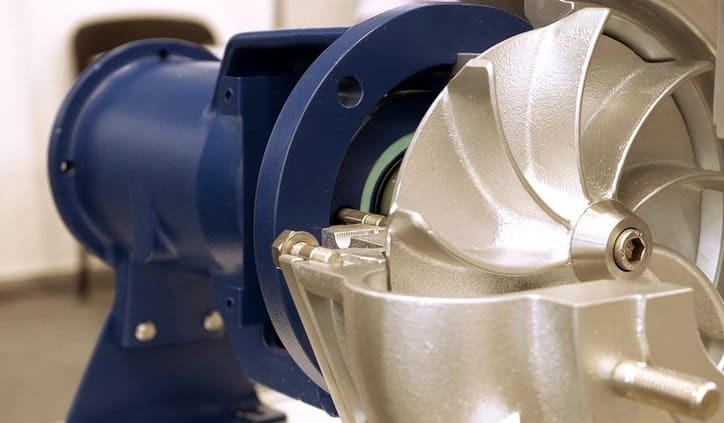 These types of pumps are used in facilities of all sizes in a plethora of different industries, including petrochemical and food and beverage facilities, along with wherever else they are needed. 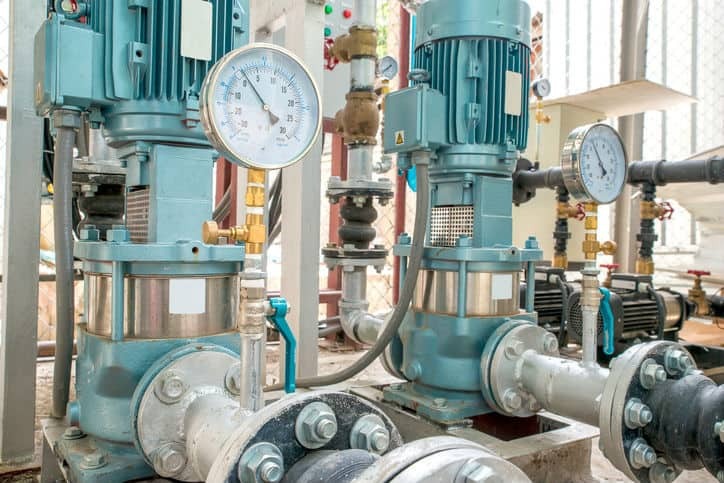 The category of air-operated pumps is commonly encompassed by four types of pumps that transfer liquids and make use of compressed air as a power source: air-operated diaphragm pumps, bellows pumps, piston pumps, and plunger pumps. 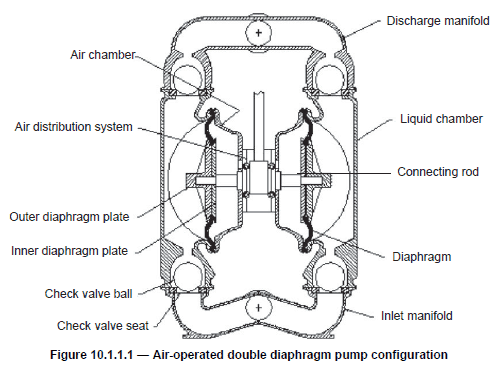 The above figures were taken from ANSI/HI 10.1-10.5-2016 – Air-Operated Pumps for Nomenclature, Definitions, Application and Operation, the standards for defining important terms related to air-operated diaphragm pumps and bellows pumps. The nomenclature covered within these standards serves as a common language for all who deal with the equipment, and the terms associated with their components are intended to foster a standard understanding of them and their purpose. Air-operated pumps, whether diaphragm or bellows, can last an incredibly long pump life if they are properly manufactured. ANSI/HI 10.6-2016 – Air-Operated Pump Tests covers a variety of testing procedures for these two air-operated pump types, including a test to demonstrate mechanical integrity while the pump is in operation, performance test, net positive suction head testing, suction lift testing, hydrostatic testing of pressure-retaining components, and noise measurement. Ultimately, the tests covered in ANSI/HI 10.6-2016 – Air-Operated Pump Tests allow for uniform, reliable testing of the pumps so that they can efficiently pump fluid. Both of these documents were written and published by the Hydraulic Institute, an ANSI-accredited standards-developing organization. The Hydraulics Institute seeks to promote the advancement of the pump manufacturing industry and further the interests of the public by developing standards, advocating for the industry, and educating the marketplace. Hydraulic Institute Standards are available on the ANSI Webstore. 1. Hydraulic Institute, Inc., ANSI/HI 10.6-2016 – Air-Operated Pump Tests (Parsippany: HI, 2016), 1. 2. Hydraulic Institute, Inc., ANSI/HI 10.6-2016 – Air-Operated Pump Tests (Parsippany: HI, 2016), 2.